One of Barrett’s biggest weaknesses is his one on one tackling. Bowled over he was, and to compound the era he sort of plays dead or something over the goal line. 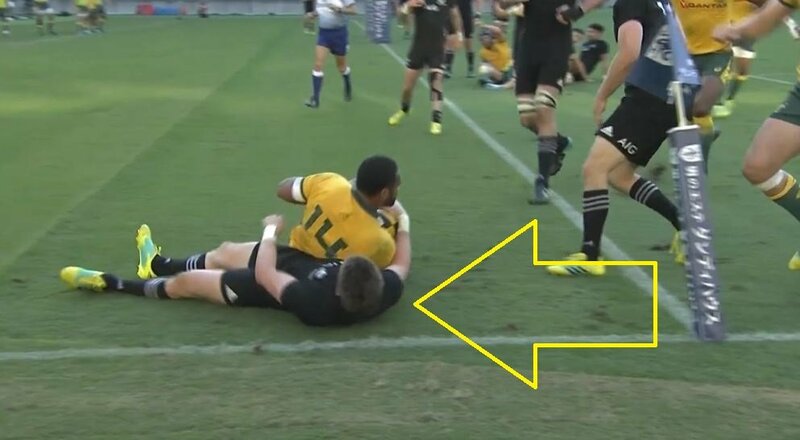 Didn’t matter as the All Blacks sailed to a Bledisloe Cup clean sweep over the Wallabies with a 37-20 victory in Yokohama.